Throughout his lifetime and particularly in his later years Williams made a number of claims and allegations that presented others in a negative way in their interactions with him. Some of these have been published and republished without the benefit of both sides of the story and have often been used to bring into question any story other than those told by Williams. It has been the intent of this author to present history as it was without defending or attacking David Marshall Williams. I have avoided the inclusion of a number of documents regarding Williams and his behavior that are not really relevant to the history addressed by these web pages. At the same time, a few of these documents are relative to this history as they provide a glimpse into the mind of Williams. They are not intended to pass judgment, only as a statement of facts that are relevant to a balanced perspective of the overall history. On November 6, 1960 the Fayetteville Observer, "Condition of Williams Is Still Critical": (Dunn) - David Marshall (Carbine) Williams, 66, of Godwin, Rte. 1, inventor of the Army carbine, was in critical condition Saturday at midnight in a Dunn Hospital. Williams' physician, Dr. L.R. Doffermyre, said his examination late Saturday night indicated that Williams was "extremely critical". The Cumberland County man was admitted to the hospital earlier last week for treatment of a liver ailment. He had been unconscious at least three days." The article indicates his wife, son and three grandchildren were at his bedside. The November 14, 1960 Fayetteville Observer included a follow-up report indicating Williams was recovering. On September 26, 1961 Gordon Williams, younger brother of David, filed a petition with Cumberland County Court requesting a hearing be held to determine if David was "mentally disordered and incompetent" and if so, that he be appointed legal guardian to handle his brother David's affairs. Gordon's petition indicates: "That the said David Marshall Williams is 62 years of age, and because of his general debility and the ravage of time and physical and mental weakness brought about by the excessive use of alcoholic beverages, is without sufficient mental capacity or ability to manage his own affairs." Continuing, "That your petitioner is of the opinion said David Marshall Williams is of such unsound mind because of the use of alcoholic beverages and will so remain for the remainder of his natural life and this your petitioner verily believes to be true." In 1961 Ross E. Beard Jr. began what would become a friendship with Williams that would continue until Williams' death in 1975. Beard published his experiences with Williams and his family in 1977 with the first edition of "Carbine - The Story of David Marshall Williams". A second edition with a few extra photos was released in 1997. Beard indicated David Williams made him aware Gordon had been appointed administrator of his affairs. The text also indicates Beard was aware of David's "illness" and at times was a challenge for Beard, with Williams becoming both verbally and physically abusive towards Beard and others. On at least one occasion Williams drew a handgun and threatened a young man who refused him permission to use his employer's toilet facilities, totally disregarding the number of witnesses present and their safety. Williams worked on his final firearm invention into the 1960's, a machine gun in caliber .22 Long Rifle rimfire. 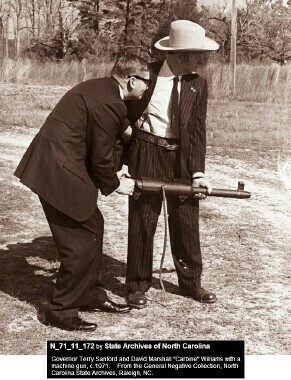 He demonstrated this firearm to the governor of North Carolina, Army personnel at Ft. Bragg and others, including Ross E. Beard Jr. The weapon utilized his short stroke gas piston. The rimfire ammunition was fed directly into the weapon by means of a cloth belt, into which the .22 ammo had been placed. The high rate of fire made for an impressive display when using tracer rounds. Williams marketed the weapon as an alternative for close quarters combat, as encountered in the jungles of Vietnam. While the .22 rimfire cartridge is an inexpensive alternative for training, firearms using the .22 rimfire cartridge are generally not suitable as a combat weapon due to the occasional unreliability of the rimfire cartridge. Add to this the propensity of the Williams floating chamber to become clogged with gun powder residue and/or lead from the bullet, requiring frequent cleaning. 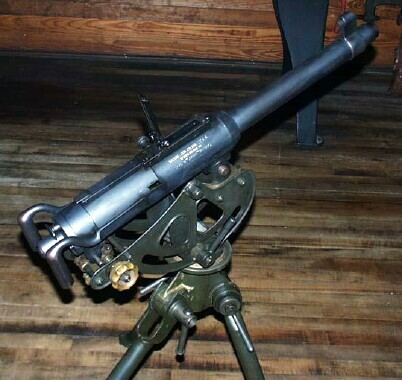 Other than the demonstrations this weapon is not known to have been submitted to any government or company for testing. In 1972 David Marshall Williams was admitted to Dorothea Dix Hospital in Raleigh, North Carolina. His wife described his condition as being unable to recognize his own family. Dorothea Dix Hospital is a psychiatric hospital with short term and long term care for patients with a variety of mental disorders, both psychological and physical. Williams remained at the hospital until his death on January 8, 1975. Williams is buried in the cemetery of the Old Bluff Presbyterian Church near Wade, North Carolina. 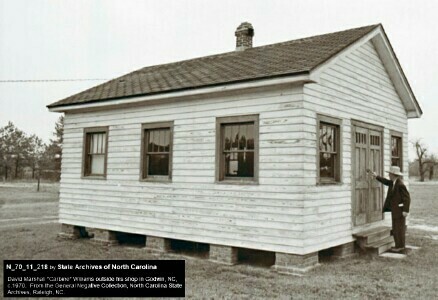 Before his death Williams donated his personal collection and entire workshop to the North Carolina Museum of History. On June 22, 1971 the museum held an opening ceremony of the David Marshall Williams exhibit at the museum, where it remains on permanent display. The display includes the entire building of the Williams workshop just as Williams left it with all of it's contents in the same place. 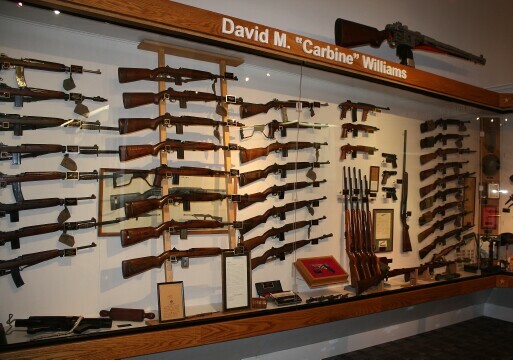 The personal Carbine Collection of Ross E. Beard, Jr. is housed in the Camden Archives & Museum in Camden, South Carolina and includes a number of items Williams provided to Beard. Prior to the Camden Museum, the majority of U.S. Carbines in the Beard Collection and those given to Beard by David Marshall Williams was on display at the South Carolina Military Museum in Columbia, SC. Most of this collection is now at the Camden Museum, though a few items remain at the South Carolina Military Museum. 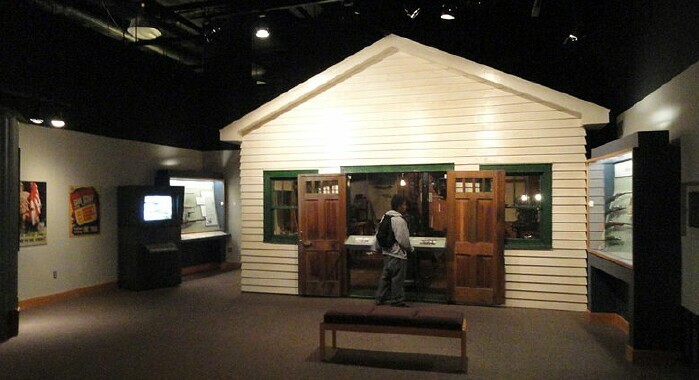 The Cody Firearms Museum is one of five museums housed within the Buffalo Bill Center of the West in Cody, Wyoming. The Cody Firearms Museum houses the most comprehensive collection of American firearms in the world. 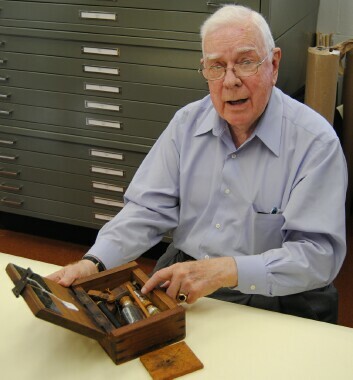 "The Winchester Collection" was donated to the museum in 1976 and includes the original Winchester archives and museum. Research in the archives must be arranged beforehand, the necessary information is included on their website. The above is a summary of the details and events. If you are interested in additional and/or more detailed information and other sources you may be interested in the following. "Carbine Williams: Myth & Reality" by Bruce Canfield, published in the February 2009 edition of The American Rifleman. The War Baby series by Larry Ruth tells the story from within the overall perspective of the design and development of the U.S. Carbines. While Ross Beard Jr.'s book "Carbine, The Story of David Marshall Williams" mentions the inventions of Williams it does not provide much detail, nor does it show diagrams and photographs of the evolution of the Williams inventions and what it was/is that makes them of interest. Beard's description was a general overview within the life and times of Williams.